Our department is staffed 24/7 by trained security officers ready to assist you. Patrols of campus buildings and grounds are completed throughout each shift to look out for hazards, suspicious behavior, or violations of campus policy or local and state law. We, as a department, strive to provide the college community with outstanding customer service while balancing the enforcement of the policies and procedures that we are charged to uphold. 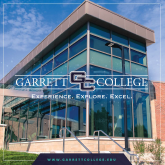 Campus Security may be contacted 24/7 by calling or texting 240-321-5799, emailing security@garrettcollege.edu, or visiting the main office located in Room 769 in the Facilities building. For more information, please contact Greg Shaffer, Coordinator of Safety and Security, in room FA-768, by email at gregory.shaffer@garrettcollege.edu, or by phone at 301-387-3791.